If tau pathology starts in the entorhinal cortex and emanates from there, the most effective approach may be to treat Alzheimer’s the way we treat cancer—through early detection and treatment, before it has a chance to spread. The issue here is straight forward. Does abnormal tau move from neuron to neuron across synapses? The research interests me because what we are talking about is the possibility of stopping abnormal tau before it spreads throughout the brain. 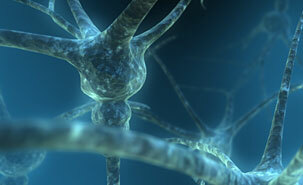 Stopping the disease before it gets to the hippocampus and then into other regions of the brain. Does this mean that beta amyloid gets Alzheimer's going, and tau spreads it throughout the brain? For me this is exciting. Stop it, like we are now able to stop the spread of cancer. Stop it early before its too late. For decades, researchers have debated whether Alzheimer’s disease starts independently in vulnerable brain regions at different times, or if it begins in one region and then spreads to neuroanatomically connected areas. A new study by Columbia University Medical Center (CUMC) researchers strongly supports the latter, demonstrating that abnormal tau protein, a key feature of the neurofibrillary tangles seen in the brains of those with Alzheimer’s, propagates along linked brain circuits, “jumping” from neuron to neuron. The Taub Institute for Research on Alzheimer’s Disease and the Aging Brain at Columbia University Medical Center is a multidisciplinary group that has forged links between researchers and clinicians to uncover the causes of Alzheimer’s, Parkinson’s and other age-related brain diseases and discover ways to prevent and cure these diseases. It has partnered with the Gertrude H. Sergievsky Center at Columbia University Medical Center which was established by an endowment in 1977 to focus on diseases of the nervous system.